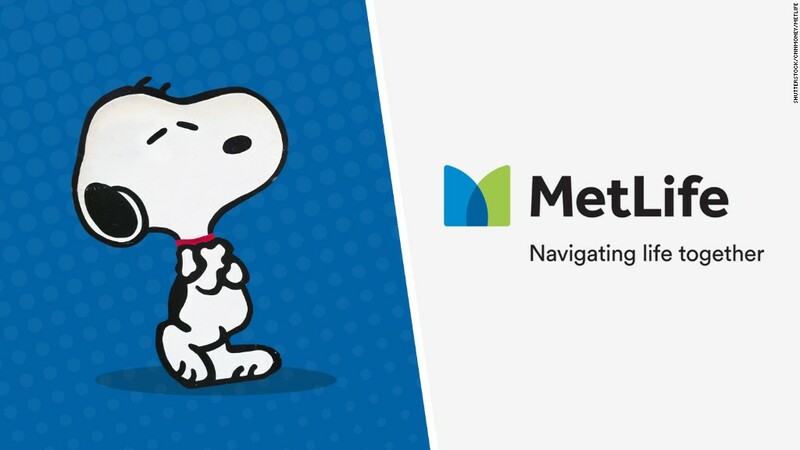 MetLife (MET) may have ditched Snoopy, but he won't have to work for peanuts. The beloved cartoon beagle, Charlie Brown and the rest of the gang still make for a powerhouse property. The Peanuts brand has more than 700 licensing agreements in about 100 countries, according to SEC filings. 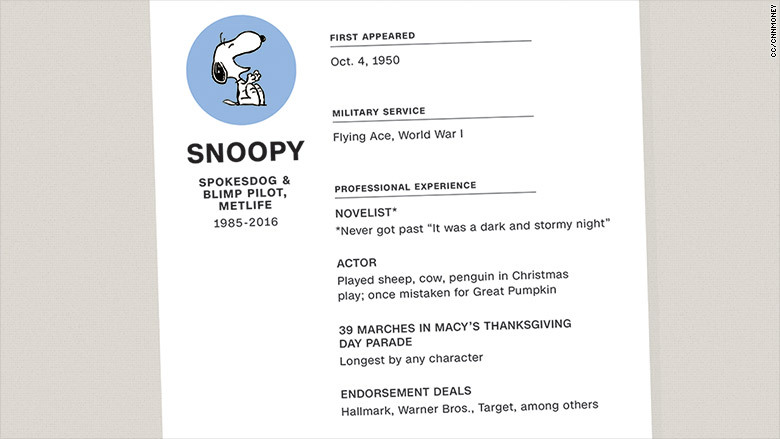 If Snoopy feels spurned by MetLife, he can find comfort in relationships with Hallmark, Warner Bros. and Target. Those are just a few of the heavy hitters touted by Iconix Brand Group (ICON), which partnered with the family of the late Peanuts creator Charles M. Schulz to buy the brand from two publishing houses for $175 million in 2010. Since then, the Peanuts characters have been featured in a Golden Globe-nominated movie and a museum in Tokyo. "Snoopy is still a terrific brand and is a character people know and have fond feelings for," said Timothy Calkins, a marketing professor at Northwestern University's Kellogg School of Management. MetLife said Thursday it was dropping the Peanuts gang in favor of a "clean, modern aesthetic" that better represents its work. Snoopy will no longer appear on its blimp, floating high over football games, or pitch insurance in TV ads that have become familiar over three decades. The breakup might be a setback for Peanuts, Calkins said, but it's also one that makes sense for the insurance company. "Snoopy is an endearing character, but it doesn't represent financial savvy," he said. "Nobody thinks of Snoopy and says, 'That is a really sophisticated investor right there.'" That's probably true. Besides, it's not like Snoopy will disappear forever -- televised holiday specials featuring the characters have proved their staying power. This Halloween, "It's the Great Pumpkin, Charlie Brown" is celebrating 50 years on the air. And Snoopy is still hanging on to another long-lasting relationship. A spokesman for the Macy's Thanksgiving Day Parade said Thursday that Snoopy and Charlie Brown will return this year. Snoopy has floated down Broadway 39 times, the most of any character.